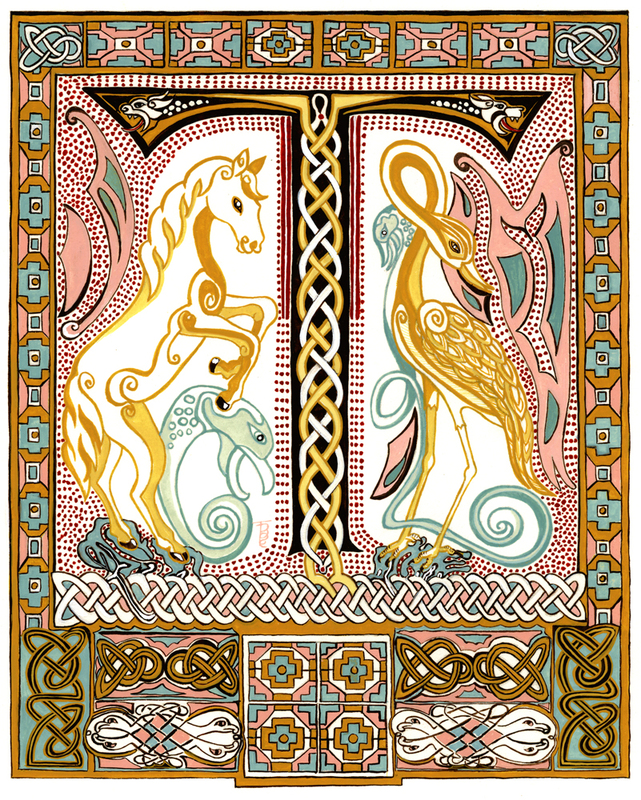 An exercise in the art of illuminated lettering, using my own initial as a base. 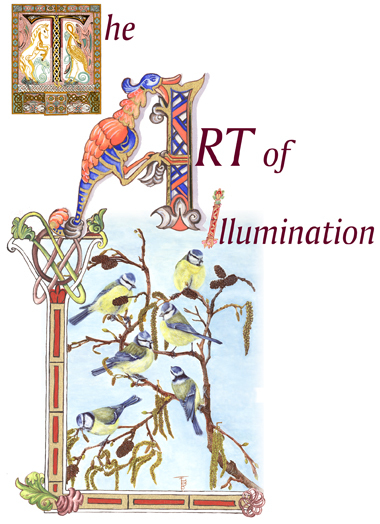 The design was used in the cover of a 2006 Calendar entitled ‘[T]he Art of Illumination’. 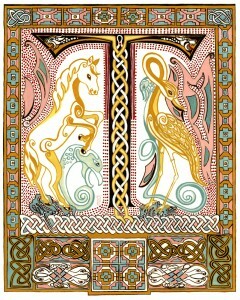 This illumination is in the Celtic style with zoomorphic elements.